One of the best defenses to a criminal accusation is the alibi defense. This defense tells a jury or judge that you didn’t commit the crime with which you were for one very compelling reason…because you weren’t there. I have had countless clients come into my office and tell me that they have an alibi that they want me to advance it on their behalf. 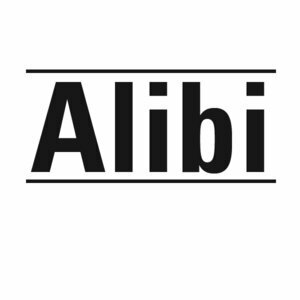 That request always triggers a very serious discussion about the alibi defense and how it works. And believe it or not, more times than not the client decides that perhaps the alibi is not his best defense. Procedurally, alibis are governed by Massachusetts Rule of Criminal Procedure 14(b)(1). If a defendant wants to present this defense at trial he must notify the district attorney in writing of this intention. The notice must disclose where the defendant was at the time of the crime and whom he was with. This person (or people) is known as the alibi witness. Not only must the name be disclosed but you have to surrender the witness’ address as well. The prosecutor can call witnesses to rebut the alibi witness’ testimony. If the defense or the prosecution fails to follow these rules a judge can preclude that party from calling one of these witnesses. What Happens Once the Alibi Witness Is Identified? In order to overcome an alibi defense the district attorney needs to show that the alibi witness is mistaken or lying. Once notice of this defense is received the prosecution gets one of its investigators, or more often a police officer, to locate and interview the alibi witness. Here is where things can get dicey. The police might deliberately intimidate witnesses during questioning. When this happens their memory becomes foggy and they tend not to remember the events supporting the alibi as clearly as they once did. Sometimes, rogue police officers actually threaten witnesses with repercussions if they testify for the defendant. Advancing an alibi defense is not as seamless as initially believed once the witness is revealed. I have had alibi witnesses recant their statement to me after cops threatened them with a perjury charge if they testified on behalf of the defendant. These days alibis are much more easily confirmed or refuted than when I first began practicing law. Surveillance or security cameras are capturing criminal acts more and more each day. Cell phone cameras, text messages and cell phone calls are often used to establish or disprove alibi defenses. Social media can prove someone’s location at a particular time as well. Alibis are much less of a “he said, she said” defense than in years past. District attorneys are now prosecuting people who lie under oath for perjury more so than ever before. This deters people from testifying regardless of the truth of their information. At our office we investigate all alibis and help establish the truth of these witnesses’ observations. This often gives them the courage to come forward and testify on behalf of those wrongfully accused. If you need a lawyer call the Law Offices of Stephen Neyman, PC at 617-263-6800. We can help you.